Further on we got even more lost at the Montemaggio stand, as we tasted all their wines and Ilaria ended the tasting by taking out their grappa at 10.30 in the morning!! After that, it was…buona notte! 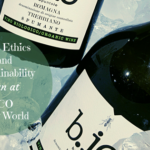 LOL Anyway, I will try and talk about my Vinitaly experience by focusing on different themes from the wine fair event in a series of two articles. This article is the first one, embracing three different themes. 1. Monday Morning, Eager to Taste…Oil and Nduja? We arrived at Vinitaly mid-morning from Vicenza where we were staying, eager to start our wine tasting journey. Nadia, being very wise as ever, suggested we start in the pavilion with oil and food stands to drink some extra virgin olive oil which would make a good cushion for the coming wine tastings. So we passed by the Tenute Librandi booth, tasting their different olive oils and orange and mandarine jams. Their different types of jam are just divine, it feels like you are eating fresh oranges or mandarins, and not a jam. Then we continued tasting a bit of everything from cheese, Parmigiano Reggiano, ham, taralli from Puglia, and ‘Nduja made from suino nero (black pig) of Associazione Nero di Calabria. 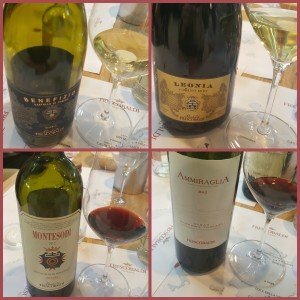 These were some great tasting experiences to start out our Vinitaly journey. As we were in Verona, in Veneto, we, of course, had to taste some wines from this region too. Nadia here said we had to go and try out the producer Antolini from Marano di Valpolicella. They are two brothers who since 1992 produce wine together on the hills around Marano di Valpolicella, San Pietro in Cariano, and Negrar. We started out by tasting their 2014 sample directly from the barrel which of course is a very young and not ready wine. However, it was interesting and you felt the note of cherry. The two very interesting wines were Amarone Classico Moròpio 2011 and Amarone Classico Cà Coato 2012. They explained to us that Morópio is made with grapes from the older vineyard while Cà Coato is made with grapes from the young vineyard. The grape varieties used for producing Valpolicella Ripasso and Amarone are Corvina, Corvinone, and Rondinella. Amarone Classico Moròpio has aromas of flowers and spices while Amarone Classico Cà Coato has more fruity notes of blackberry and cherry as well as aromas of vanilla and liquorice. They are both fresh, dry wines with a certain alcohol level. The tannins are more accentuated in the Cà Coato. The vintages we tasted were still very young for an Amarone wine, so they will become even better with the years. 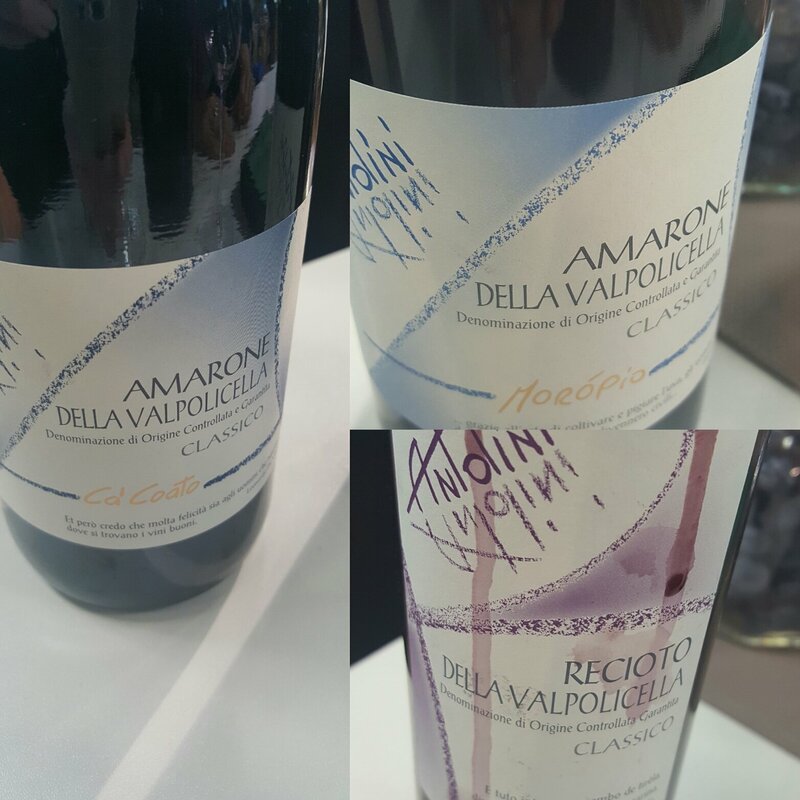 We also tasted their Recioto della Valpolicella (I do not remember the vintage) which is just fantastic. For those of you who like Recioto wines, I can highly recommend trying out this one from Antolini with its mix of fruity and spicy, i.e. of notes of sour cherry, cherry, and cinnamon. This is a sweet but still very smooth and harmonious wine. The Cavalchina winery dates back to the early 20th century and is situated on the southern border of the Garda lake. The winery produces white wines within the denomination Custoza Doc and red Bardolino wines. However, the family Piona also owns a winery, Torre d’Orti, in Marcellise in the area of Valpolicella. 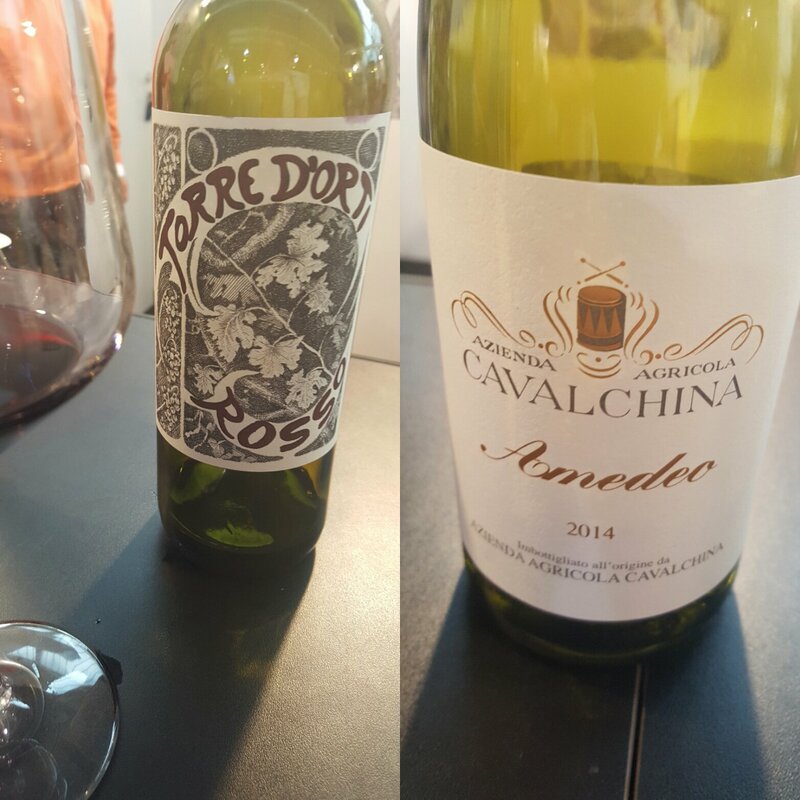 At Vinitaly, we tasted their Amedeo Custoza Superiore Doc 2014 and their Valpolicella Superiore Ripasso Doc. The white Amedeo is made of 40% Garganega, 30% Fernanda, 15% Trebbianello, and 15% Trebbiano Toscano. Due to the different ripening periods of the grapes, the Fernanda grapes are, for example, frozen before pressing and the Garganega has a vinification process with a bit of reduction. All to conserve the aromas. The Ripasso has an elegant mix of the fruity and smooth characteristics from the fresh grapes and the spicy notes and complexity deriving from the withering (appassimento) process. These are two very interesting wines clearly reflecting the territory of their denominations. First out on Monday, I had been invited to attend a Frescobaldi wine tasting where Sergio Di Loreto, the Head of Marketing for Frescobaldi wines, was talking about the history of the Frescobaldi family and their wine production. He presented 7 of their different wines from five of their estates around Tuscany. First out, we tasted Leonia Pomino Brut – Metodo Classico – Millesimato 2012 and Benefizio Riserva 2014. The latter one is part of the denomination Pomino Bianco Riserva DOC. The Leonia Pomino Brut gets its name from Leonia Frescobaldi who in mid-19th century had a clear vision and was courageous enough to import the French grapes Chardonnay and Pinot Noir to start growing them at the Frescobaldi estate in Pomino in Tuscany. This bold choice resulted in them taking home the gold medal for their wines at the World Expo in Paris in 1878. These vineyards are at a quite high altitude for being in Tuscany, namely at around 700 m.a.s.l. Sergio Di Loreto told us the fun story about how one used to say that you need a passport to go to Pomino during the summer, as it used to be, and in some sense still is, a place where the Florentines during the hot summer months went to get some cool air. And it feels like you are in Trentino or similar. The Leonia Pomino Brut is made of 90% Chardonnay and 10% Pinot Noir. It has a fine and elegant perlage and notes of honey and dry apricots, among others. It is a very structured sparkling wine with a good acidity and a long aftertaste. Benefizio is a 100% Chardonnay and it was the first white wine in Italy being fermented in barrique. It is a very complex wine with notes of cinnamon among other spices and more fruity aromas of orange peel and candied fruit. There is also a hint of more tropical fruits, such as papaya mixed with more flowery aromas. At the palate, you definitely feel the woodsy taste from the barrique as well as an aftertaste of bitter almonds. We then continued with the red wines, starting with the Toscana IGT Montesodi 2012 from Castello di Nipozzano. This is a 100% Sangiovese wines with grapes from the vineyard Montesodi which started being produced already back in 1974. It has notes of cherry and violet which are typical for the Sangiovese wines and you also feel the influences from the aging in barrels of Austrian and French oak. It is a wine with an aftertaste of almonds and hazelnut. From the estate Ammiraglia situated in the Maremma area in Tuscany, we tasted the Ammiraglia 2012 which is part of the denomination Maremma Toscana Syrah DOC. It is 100% Syrah with notes of fruits such as blackberry, wild strawberries, and black currant which are mixed with aromas of spices and toasted hazelnut. This is a wine which was first produced in 2006. The Toscana IGT Giramonte 2012 is produced at the Castiglioni Estate, which is the oldest of the estates belonging to the Frescobaldi family. This is a unique cru which started being produced in 1999. A cru is a French term very connected to the term terroir. In brief, it can be explained as “a vineyard or group of vineyards, especially one of recognized quality“. It is a wine made of Merlot and a small part of Sangiovese, with fruity notes as well as more spicy notes of black pepper and anise. It is a smooth and full-bodied wine with long persistence. 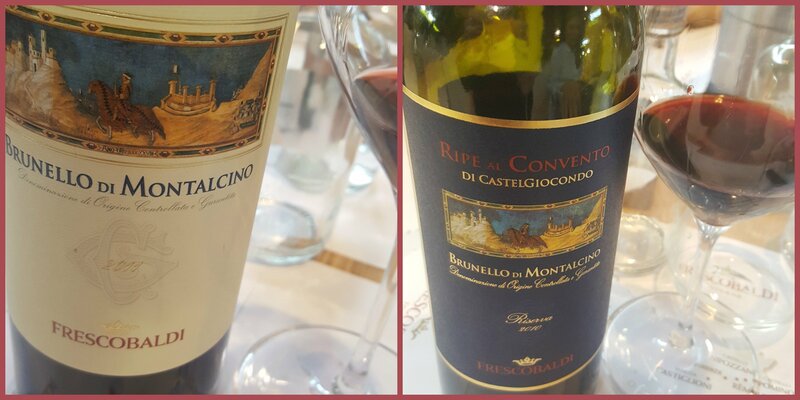 At the Castelgiocondo Estate in Montalcino they produce two of the last wines we tasted at this #frescobalditasting. Castelgiocondo is one of the four historical wine estates in Montalcino which existed already in the 19th century. The first one was Castelgiocondo 2011 Brunello di Montalcino DOCG. It is 100% Sangiovese wine which is well-structured and full-bodied. It is aged in barrels of Slavonian oak and in barrique of French oak to a minimum of 2 years according to the regulations for the Brunello di Montalcino DOCG which has to be aged from the harvest time up until January 1 five years later before it can enter the market. It has notes of flowers and fruits, such as raspberry and pomegranate as well as a mineral and sapid taste with elegant tannins. They also produce the Ripe al Convento 2010 Brunello di Montalcino DOCG Riserva at the Castelgiocondo Estate. This is 100% Sangiovese wine with a strong and unique character. The 2010 has by many been defined as the best vintage of the last century, according to Sergio Di Loreto. According to the regulations, this riserva has to be aged for six years from the moment of the harvest before it can be entered into the market. It is a well-balanced wine with elegant tannins and notes of fruit such as prunes, raspberries, and mulberries. Furthermore, it has hints of cocoa, coffee, tobacco, and vanilla. It is a Brunello di Montalcino worth its name. Monday at Vinitaly was very busy, as we in the afternoon had a vertical wine tasting organized by Fisar with wines from the producer Roberto Bianchi at Val delle Corti. We tasted the vintages 2007, 2009, 2011, and 2013 in this vertical tasting. 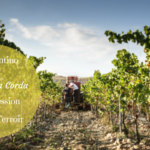 The wines from Val delle Corti is known for their clean and distinct traits. Back in December last year, I wrote an article about my visit to the winery in the article Val delle Corti, A Love at First Sight where you can read more about the typical traits of their wines. For those of you who read a bit of Italian, you can also check out Lorenzo Sieni’s article Le profonde ossessioni di Val delle Corti to learn more. Below you can listen to Anna Cardin, Best Sommelier Fisar of the Year, analyzing the 2011 vintage. This vertical tasting was very well attended and it was interesting to learn more also about older vintages from the Val delle Corti winery. 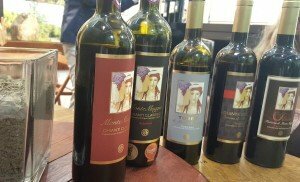 As mentioned in the beginning of this article, we started Tuesday morning at the stand of Montemaggio winery, situated in Radda in Chianti, together with their head oenologist Ilaria Anichini. Here I will not analyze their wines in-depth as I will talk more about Montemaggio in a separate article in a couple of weeks, also in relation to the #WinesOfItaly blab with Ilaria on March 22nd. However, it was a very fun and interesting visit to their stand at Vinitaly and we tasted all their wines, including their grappa. Nadia was covering the more analytical tasting part while I was listening and posting live on social media while we were tasting and talking. We tasted their Chianti Classico Annata DOCG 2010 that they have aged longer before entering it to the market. This is a Sangiovese wine with a very small percentage of Merlot, but one does not really perceive the presence of Merlot but rather all the typical traits of a Chianti Classico wine from Radda. 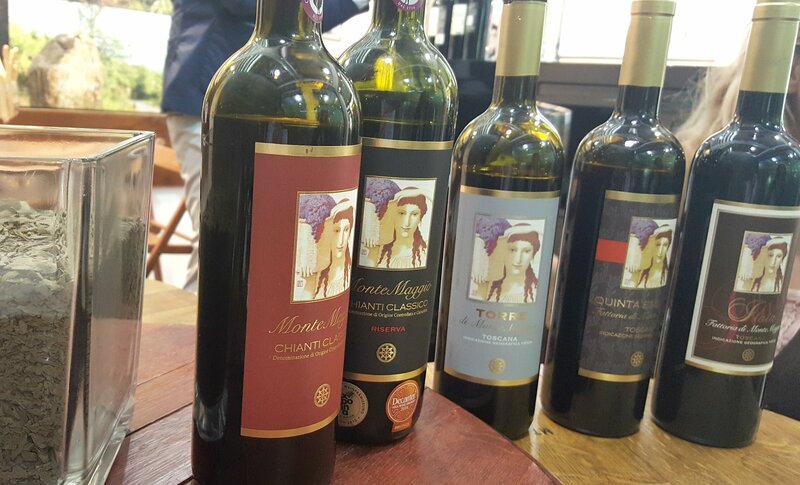 Then we tasted the Chanti Classico DOCG Riserva 2009, which is made of the Sangiovese grapes from the oldest vineyards. It is a well-structured and full-bodied wine where you feel the fruit as well as the spices, the floral notes, and the elegant tannins. Then we continued tasting their Torre di Montemaggio which is 100% Merlot, the Quinta Essentia di Montemaggio IGT which is a blend of 60% Merlot and 40% Sangiovese. Thereafter, we continued with the Rosé di Montemaggio which is a wine with high acidity and a fresh and fruity taste. The interesting rather new wine that we tasted was the Ilaia Toscana IGT (here I am not sure about the vintage, probably a 2014) which is made with 100% Pugnitello. This is an indigenous grape in Tuscany with a very thick skin and the grape has the form of a fist (un pugno), thereof its name. Below is a video from Montemaggio, obviously not taken at Vinitaly but last week when I visited the winery in Radda in Chianti. This is a very long article in the end, so if you arrive to read these concluding remarks you are indeed very brave. Anyway, I have tried to gather our tasting experiences in three different themes here. The Tuscan and Veneto themes being the predominant ones. The wines tasted were quite a few, however, there were many small treasures we discovered while going from stand to stand. Hope you enjoyed reading the article! Brava! I wish I was here sooner! Your posts always make my mouth literally water, Katarina! I so wish I could take one of these tours with you. I’m learning so much through these posts as well. Thank You! Great post! You do a great job describing the different wines. Thanks for sharing. I am amazed & impressed that you can take such great notes, photos, videos, taste & drink & talk & listen, then write. And you stay slim, organized and inspiring. Looks and sounds like you had quite a wonderful adventure you shared with us here, Katarina. It sounds like so much fun and you also share wonderful history, that brings us right into the heart of where you are. For all the wine lovers, you offer great insight into a wide variety of wines and in this case the olive oil as well. Enjoy your travels and your tastings and thanks for sharing them all with us! Beautiful scenery too! So delightful darling….. you are so in your element. Now pass the bottle please…. I’m fascinated by your tasting acumen when you mention the fruity, woodsy, spicey and other subtle elements. It takes a real connoisseur of taste to make those distinctions. I must say it makes me a little jealous because I can only tell if I like the wine or not. Always enjoy your posts Katarina! So enticing 🙂 Great share again, thank you! You have a very fun job getting to travel and drink lots of wine. Thanks for sharing with us! Nice tour and amazing visuals Katarina! Thanks for sharing your lovely experience with us! I love fairs and events around wine and can imagine loving them even more in Tuscany, which is my favorite place under the sun for now.